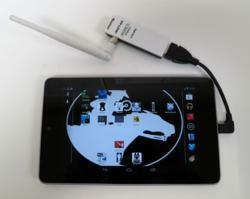 We look forward to showing IT professionals how the Pwn Pad works effectively for pentesting. SOURCE Boston happens this year at the Marriott Tremont focusing on security training for IT Professionals. During the conference, Jonathan Cran, CTO for Pwnie Express, will be speaking on MitM (Man-in-the-Middle) Pentesting . Pwnie Express will also have a booth at the conference showcasing their EPA (Enterprise Pentesting Appliance) and their newest release - the Pwn Pad which has garnered tremendous media attention since its' debut at RSA this past February. "We're eager to help companies monitor their networks and proactively protect themselves from a cyber-security attack. We look forward to showing IT professionals how the Pwn Pad works effectively for pentesting." Recently, Pwnie Express conducted a live webinar on the Pwn Pad - a powerful pentesting device form factored as a mobile tablet. It allows for unprecendented mobility and pentesting of both wired and wireless networks. Pwnie Express, located in Berlin, Vermont, began with their initial offering of the Pwn Plug - the first-to-market commercial penetration testing drop box platform. Pwnie Express enables scalable and rapid-deployment security assessment for the distributed enterprise.